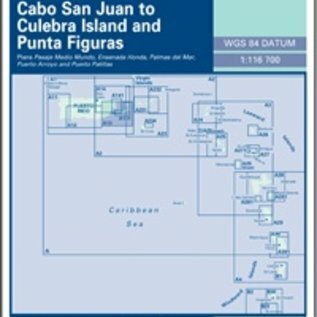 This Imray-Iolaire chart expands on the section of Puerto Rico from Cabo San Juan to Culebra Island and Punta Figuras. 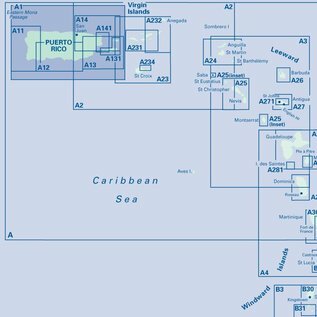 The chart is printed in color and uses official surveys and notes based on local knowledge. 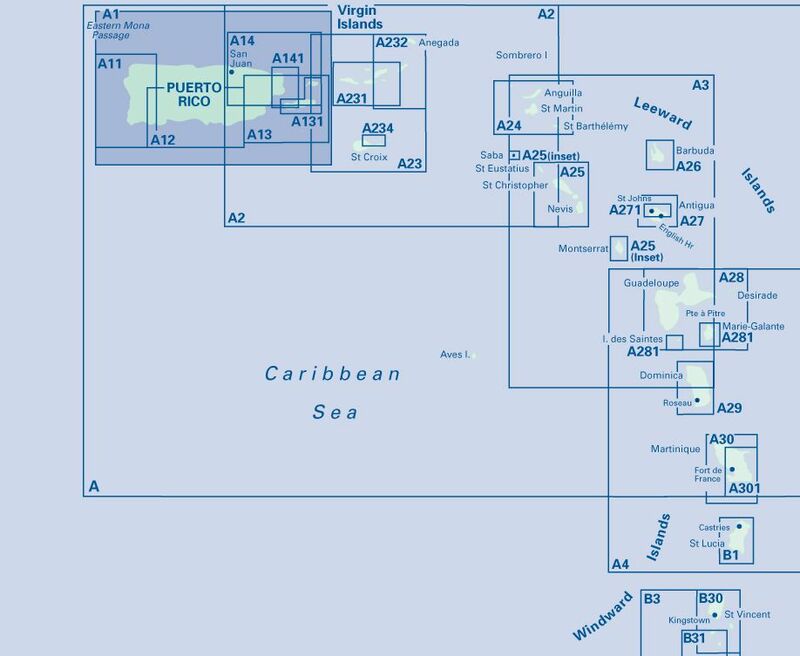 This water-proof chart also features information on passages and anchorages as well as details of facilities for voyagers in this area of Puerto Rico. 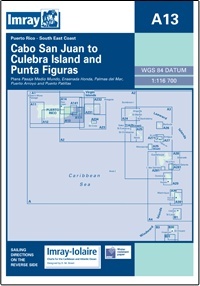 The Cabo San Juan to Culebra Island and Punta Figuras chart includes large scale inserts of Pasaje Medio Munda, Ensenada Honda, Palmas del Mar, Puerto Arroyo and Puerto Patillas.This Imray-Iolaire passage chart for the Eastern Caribbean is printed in color on treated water-resistant paper and folded for efficient storage.